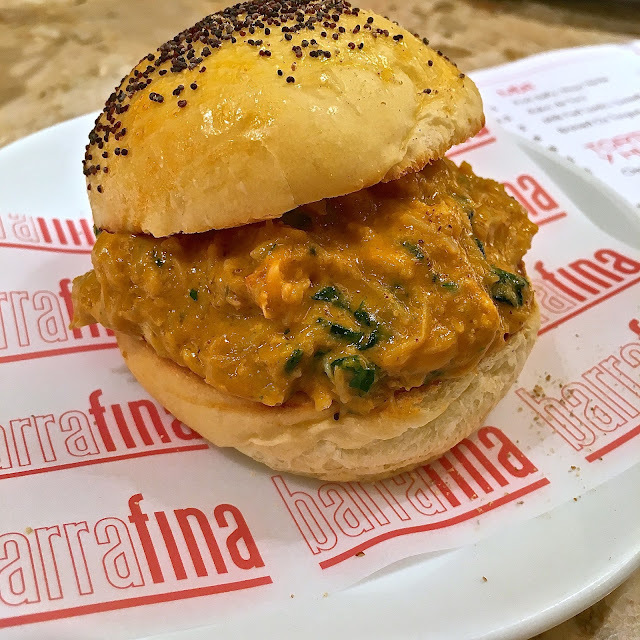 The London Foodie: Barrafina Drury Lane: Exquisite Spanish Tapas to Queue For! 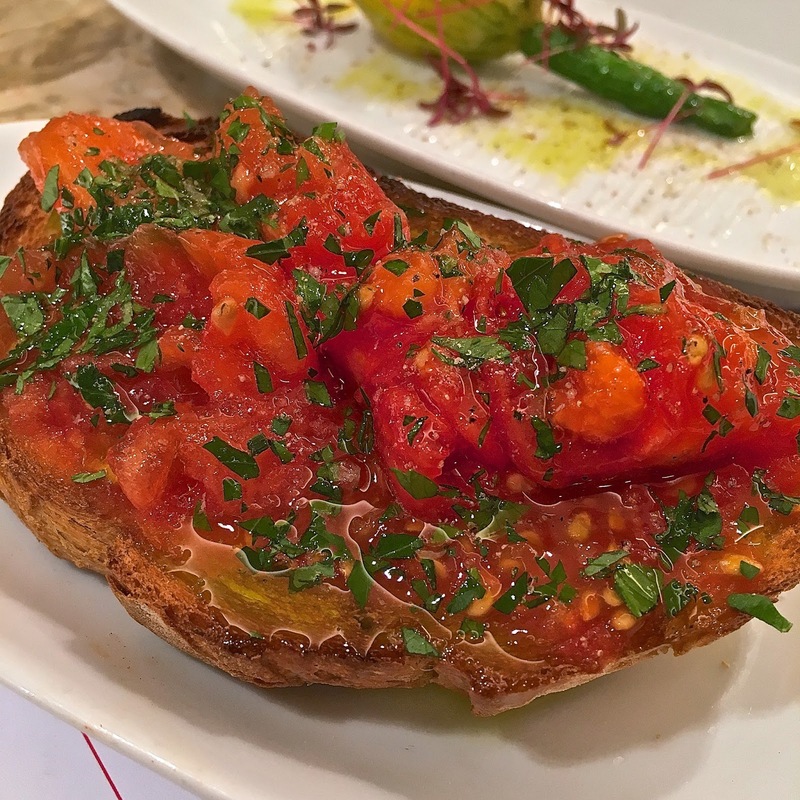 Barrafina Drury Lane: Exquisite Spanish Tapas to Queue For! 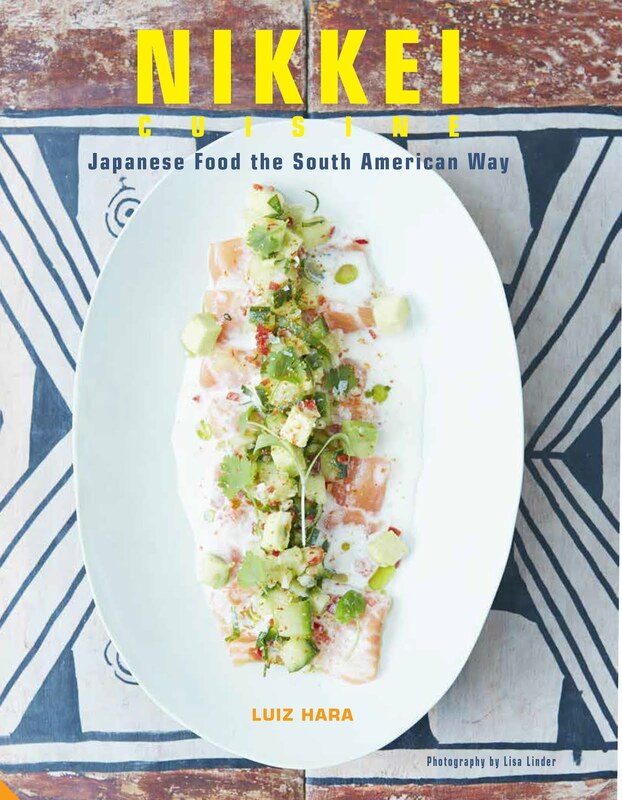 Cost: The recommendation is to order around 3 small plates per person. The average spend per person is £40 (drinks excluded). Plates of small eats range from £2 to £14.80, chargrilled meats from £7.50 to £18.80 and desserts from £2.50 to £6.80 (or a Spanish cheese platter for £12). As would be expected, there is a wide range of sherries by the glass or bottle, starting at £4.50 per glass. The wines, whether sparkling, rose, white or red, are exclusively from Spain. The entry level white is an El Circo Macabeo from Aragon (£19), with a matching El Circo Garnacha red wine at £19. Tempting options include an Albarino from Rias Baixas at £32, and the magnificent Vina Ardanza Rioja Reserva 2007 at £56. 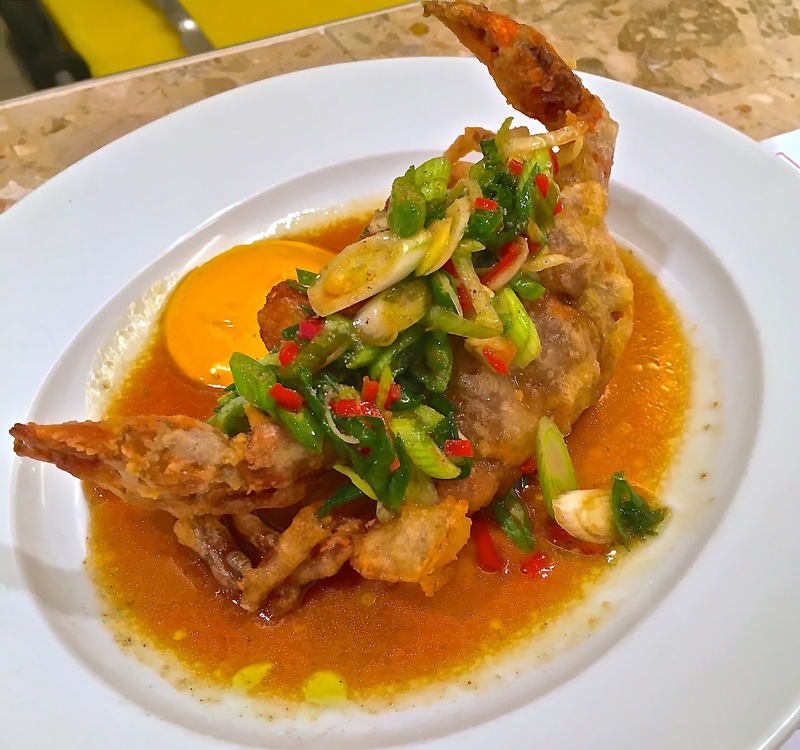 About: Opened in July 2015, the third and latest branch of the Barrafina group, led by Sam and Eddie Hart, this restaurant looks very much like the founding, Michelin-starred Barrafina on Frith Street. With exposed brickwork and a lovely beige marble counter set around the open plan, stainless steel kitchen and high red leather stools, the look is modern yet warm and convivial. But the best thing is that it is a great set up for people-watching and also for studying the Spanish chefs doing their thing - I really enjoyed this aspect of Barrafina. There are no separate tables, and all 23 diners are seated at the counter. Like the other branches of Barrafina, regrettably the Drury Lane outfit does not take reservations for groups of fewer than 8 people so you need to take your chance. There is a private dining room downstairs where groups of 8 or more can be seated. What We Ate: The menu at Barrafina is not too long, but the dishes read so temptingly, the main problem we had was choosing what to order. We started with their deep-fried courgette flower (£7.80) – beautifully presented with a scattering of red amaranth and Espelette pepper, it was crisp on the exterior but stuffed with an unctuous goats cheese and orange honey filling. The pan con tomate (£2.80 each) featured some intensely flavoured and fleshy tomato, with a smack of chilli heat, virgin olive oil, parsley and crunchy toasted bread. So simple and yet so good. The insanely moreish chipirones (£6.80) were deep fried and super-crispy baby octopus, served in a paper cone with lime, smoked paprika and sea salt – so delicious and a very generous portion too. The crab bun (£8.80) was a lovely toasted bun filled to the brim with a deliciously creamy bisque of crab spiked with brandy and habanero chilli - a blissful combination. The soft shell crab (£10.80) was huge, served with fried spring onion, red chilli and garlic, with a Japanese dressing of mirin, soy sauce, sake and sesame oil, and a dollop of saffron aioli to give it a Spanish twist. 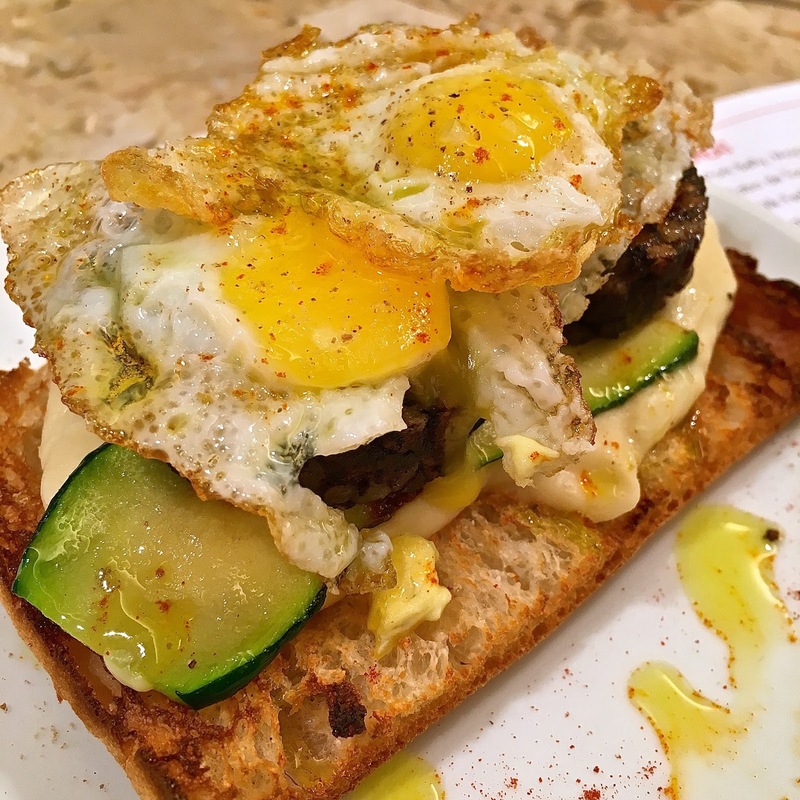 Next up was a toastie of deliciously grilled sourdough bread topped with celeriac puree, morcilla de Burgos (black pudding), sliced courgette and fried quail eggs (£8.50). 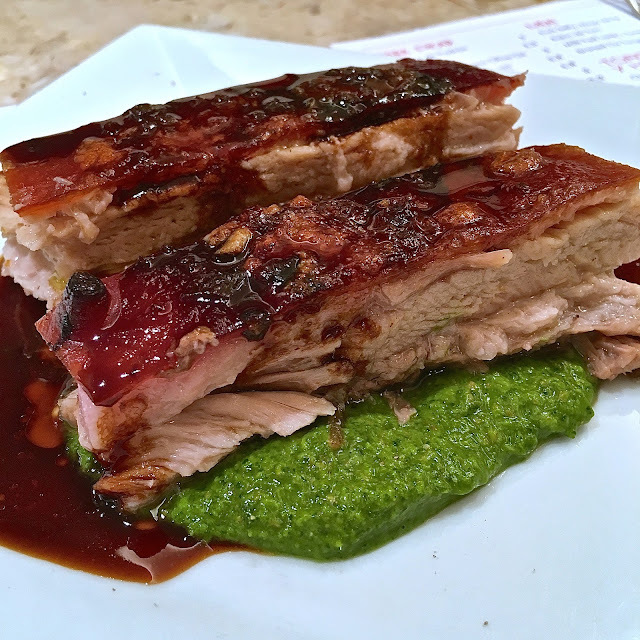 Pork belly with mojo verde (£12.60) featured unctuous and meltingly tender pork with crisp, caramel-like crackling in a rich jus. The mojo verde was a zingy and herbacious green herb sauce of parsley, coriander, spring onion and vinegar. 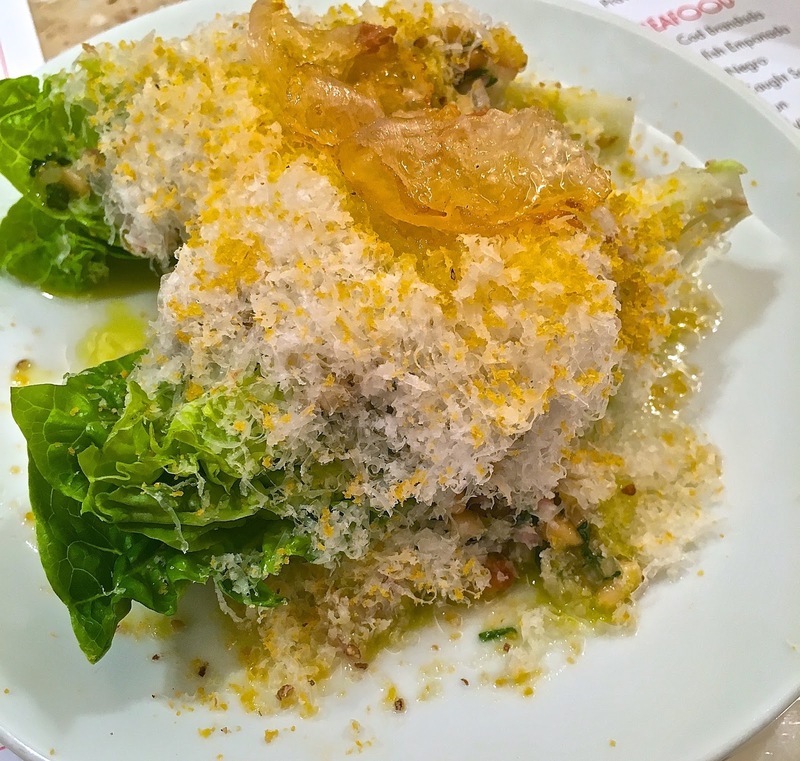 The baby gem lettuce with shavings of bottarga, pine nuts, pancetta and shredded Manchego cheese (£6.80), featured a delicate sherry vinegar dressing. 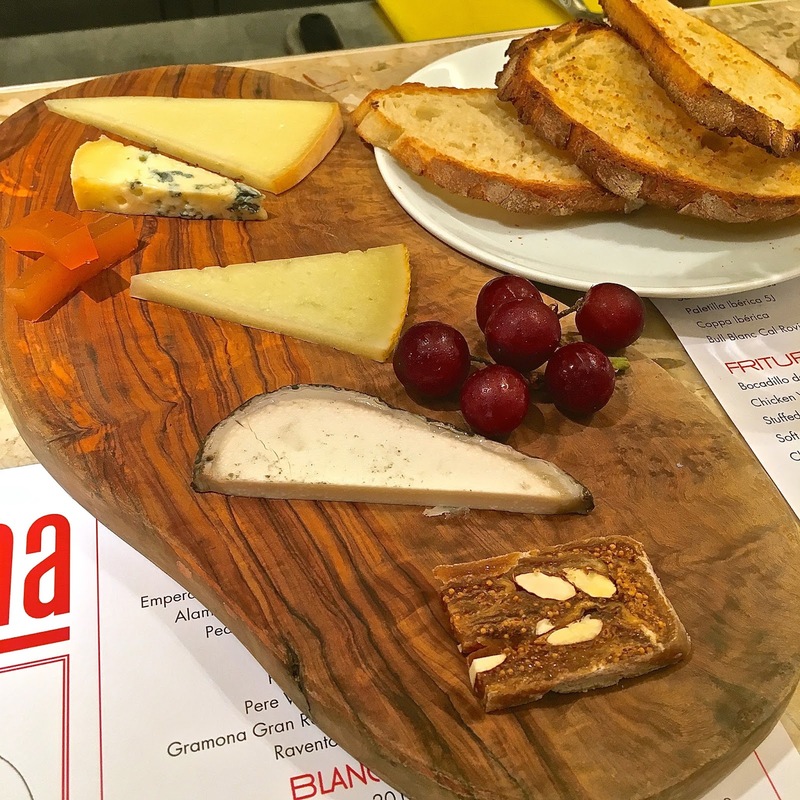 To finish our red wine, we decided to share a Spanish cheese platter at £12 including Manchego, Hermecenda from Cataluna, and my favourite Picos (a lovely blue cheese made from sheep and cows milk from Asturias) as well as dried figs and quince jelly. For dessert, we shared a portion of the spectacular signature Torrijas (£6.80). A traditional dish of fried bread soaked in milk and egg, coated in sugar then fried in oil until caramelised, the luxury Barrafina version is enhanced with custard, and served with a lovely creme fraiche ice cream and caramelised nuts. This is a magnificent dessert, and in my view merits a visit to Barrafina in its own right. What We Drank: We had a refreshing glass of La Gitana Manzanilla from Hidalgo - a yeasty, salty and tangy aperitif at £4.50 per glass. With our meat dishes, we had a glass of Viña Ardanza Rioja Reserva 2007, at £10.50 per 125ml glass. With a classy nose of blackcurrant and vanilla, this had lovely red cherry fruit, refreshing tannins despite its age, and a finish that went on and on with layers of complex fruit, leather and spice. To follow, we had a glass of Humilitat 2012 Massard-Brunet Priorat (a blend of garnacha and carignan), at £8.50. With dessert, rather than the full Monty Pedro Ximenez, we opted for a glass of the semi-sweet Alameda Oloroso Cream sherry from Hidalgo (£5.50). Tawny coloured, with lovely nutty flavours and gentle sweetness, this was a good accompaniment for the Torrijas - sweet enough to complement it, but not so sweet as to be cloying. Likes: The chipirones (deep fried baby octopus) were excellent, as was the pork belly, so unctuous. The torrija was also outstandingly good. In fact, there was not a single bad dish on our menu. Nearly every wine on the menu is sold by the glass, so it is affordable to purchase a variety of top quality wines. Service is friendly and helpful. Dislikes: None (on a night when there is no queueing). I have lost count of the number of times I have tried to eat at a Barrafina, but this is the first time I have actually eaten there. I refuse to spend hours queuing to eat, and the policy of not taking bookings is part of an annoying trend in London. At present though, the wait at Drury Lane is not too bad. Verdict: With top quality ingredients, excellent cooking and super friendly service, Barrafina is one of the few top London venues for Spanish tapas, and the only one I would queue for, it is that good! Very highly recommended. Looks amazing! I really need to try Barrafina, it's been on my list for ages! 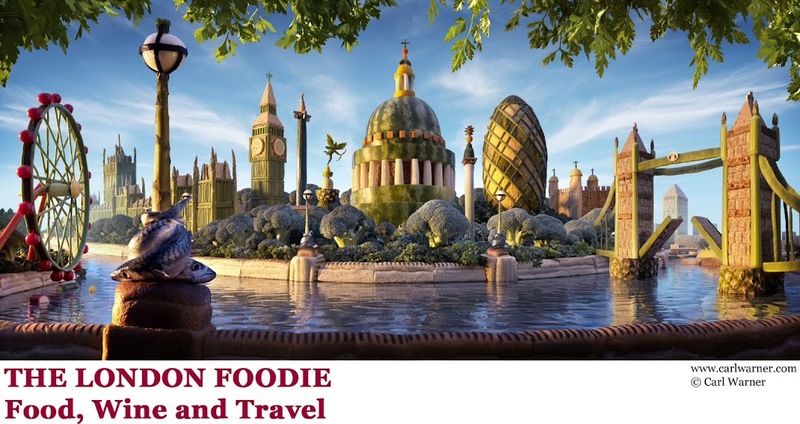 My absolute favourite restaurant in London :) So glad you got to try it eventually! More Monkey Business at Yauatcha City!